Peik Ingman is a PhD candidate in Comparative Religion at Åbo Akademi University. He is currently working on a doctoral thesis with the working title ‘Sacralization and the Gift: Queer Family Members in Christian Families’. His research combines actor-network theory, philosophy of science and object relations theory. Terhi Utriainen is Docent and Senior Lecturer in the Study of Religions at the University of Helsinki. Her research and teaching interests include ethnography of lived religion, gender and embodiment, ritual studies, death, dying and suffering. She is co-editor of Post-Secular Society (2012) and Between Ancestors and Angels: Finnish Women Making Religion (2014). Tuija Hovi works as University Lecturer in Comparative Religion at the University of Turku. Her teaching areas are methodology in the study of religion and academic writing. Hovi is specialised in qualitative methods such as ethnography and narrative inquiry, and her research interests include contemporary popular religiosity, especially anthropology of Christianity focusing on the global Pentecostal and Charismatic trends accommodated in Finland. Hovi has published articles on these themes in journals and books, and she is the guest editor of the recent special issue “Pentecostalism around the Baltic Sea” of Approaching Religion. Måns Broo holds a Ph.D. from Åbo Akademi University (Finland), where he works as University Researcher in the Department of Comparative Religion. His publications include critically acclaimed translations of Sanskrit texts into Swedish and Finnish. At present, his research interests focus on yoga, both in its classical and modern forms, as well as on modern Hinduism and ritual studies. This volume revisits the concepts of enchantment and sacralization in light of perspectives which challenge the modern notion that man (alone) is the measure of all things. As Bruno Latour has argued, the battle against superstition entailed shifting power away from God/the gods to humans, thereby disqualifying the agency of all the other objects in the world. Might enchantment and sacralization be understood in other ways than through this battle between almighty gods and almighty humans? Might enchantment be understood to involve processes where power and control are not distributed so clearly and definitely? Like social constructionists, Latour emphasizes that things are constructed; yet, like many other new materialists, such as Jane Bennett, Manuel De Landa and Karen Barad, he emphasizes that this construction is not the result of projecting meaning onto a passive and meaningless world, but a matter of compositional achievements, whereby assemblages of actants co-compose each other and frame, enable and delimit one another’s agency. This move recognizes the active and entangled participation of players beyond the humans versus God(s) framework that informed the modernist project. Understanding enchantment and sacralisation as compositionally and relationally constructed does not mean the same as understanding them as constructed by humans alone. What it means is one of the main questions posed in this book. In other words, if enchantment and sacralization are not understood (solely) in terms of projecting anthropocentric meaning onto mute objects, what are some promising alternative approaches – old and new – and what are their implications for how we understand modernity and for method and theory in the study of religion? This volume revisits the concepts of enchantment and sacralization in light of perspectives which challenge the modern notion that man (alone) is the measure of all things. As Bruno Latour has argued, the battle against superstition entailed shifting power away from God/the gods to humans, thereby disqualifying the agency of all the other objects in the world. Might enchantment and sacralization be understood in other ways than through this battle between almighty gods and almighty humans? Might enchantment be understood to involve processes where power and control are not distributed so clearly and definitely? Like social constructionists, Latour emphasizes that things are constructed; yet, like many other new materialists, such as Jane Bennett, Manuel De Landa and Karen Barad, he emphasizes that this construction is not the result of projecting meaning onto a passive and meaningless world, but a matter of compositional achievements, whereby assemblages of actants co-compose each other and frame, enable and delimit one another’s agency. This move recognizes the active and entangled participation of players beyond the humans versus God(s) framework that informed the modernist project. Understanding enchantment and sacralisation as compositionally and relationally constructed does not mean the same as understanding them as constructed by humans alone. What it means is one of the main questions posed in this book. In other words, if enchantment and sacralization are not understood (solely) in terms of projecting anthropocentric meaning onto mute objects, what are some promising alternative approaches – old and new – and what are their implications for how we understand modernity and for method and theory in the study of religion? Anne-Christine Hornborg is Professor in the Department of the History of Religions, Centre for Theology and Religious Studies, Lund University, Sweden. Her thesis, A Landscape of Left-Overs: Changing Conceptions of Place and Environment among Mi’kmaq Indians of Eastern Canada (2001), is grounded on extensive fieldwork conducted on Cape Breton Island, Canada. She has also carried out fieldwork in Tonga and in the Peruvian Andes. In a number of articles, Hornborg has documented the lifeworld of the Mi’kmaq, including their traditions, rituals, environmental engagements and the phenomenology of places. She has published several articles about indigenous cosmologies, animism, the phenomenology of landscape, ecology and religion, ritual practices and new spirituality. Hornborg was also granted a four-year appointment in ritual studies and in recent years has in a productive way studied new ritual contexts in late modern Sweden. In ritual theory, objects have mostly been discussed in terms of symbols and interpretations. However, material objects that are employed in rituals are not merely passive carriers of attached cultural meanings. In this article, I will discuss how objects not only become animated in rituals but as such are also ascribed agency, whereby they further animate the ritual field. As ritual agents they achieve important performative functions in the field of transformations. The smoke of burning sage in a ritual setting is not everyday smoke but sacred, and it not only symbolizes a purification process for the participants, but – as a performative agent – it “actually” cleanses them of bad spirits. In attributing objects personhood and agency, it is thus more useful to discuss the phenomenology of animism and ritual objects as forms of relational epistemology than as cases of epistemological fallacies indicating a childish or “primitive” worldview. Both ‘enchantment’ (as concept and experience) and ‘material religion’ (as concept and practical evidence) are currently receiving academic attention. Combining these two fields of enquiry the ‘materiality of enchantment’ (as distinct from the ‘enchantment of materiality’) can be more clearly understood through that which takes place in moments of devotional encounter with religious statues. Relational in nature, ‘enchantment’ conceptually provides a framework which reflects a quality of encounter that expresses the intimate relationships that people have with religious statues when they are both in situ in shrines and temples, as well as on the move during processions. Consequently, theories of ‘enchantment’ are informed by such encounters with religious materiality. Using a contemporary, vernacular form of Catholic Marian Andalusian statue devotion, the chapter builds on the work of Curry (2012), Harvey (2005), Ingold (2011) and Scott (2006) (among others) to test the ‘dynamics’ of enchantment. Since the dynamics of enchantment cannot be tested without some orientation toward the project of modernity, the chapter will also argue that ‘enchantment’ provides a theoretically fluid middle ground to still productive dualisms that inform Western cultural discourses. Thus this chapter will bring ‘enchantment’, ‘material religion’, and ‘the new animism’ (as well as the ‘fetish’) into dialogue with contemporary Catholic statue devotion to argue that enchantment is an unpredictable and relational ‘happening’ that takes place in moments of encounter, here exemplified through encounters with religious statues. Christiane Königstedt has worked and taught as a research assistant at the University of Münster (Germany) and holds a Ph.D. from Leipzig University (Germany), which she was awarded for her thesis on possible reasons for the French secularist’s activities against contemporary non-traditional forms of religion. Currently she is working on a new project on shifting boundaries between the religious and the secular and has published articles about contemporary spirituality, its influence on the individual life conduct and New Religious Movements in relation to secular societies. Yoga structurally shares the reputation of empowering the individual with many other contemporary spiritual and esoteric practices. At the same time, these practitioners also share a tendency to externalize agency and attribute events and individual actions to higher powers or “fate”, or “destiny”. It is sometimes argued that engaging in such “spiritual” practices leads people to minimize their responsibility for their own lives. Thus, agency matters, and this chapter examines how enabled agency is attributed in narratives of Finnish yoga practitioners. How do practitioners view their relationship to their practice and what do they feel that they as individuals gain through it? These questions will be discussed using a notion of agency that emphasizes its socio-cultural intermediateness, focusing in this way on the reported influences behind agency insofar as it is presented as being co-composed of entangled human and non-human actors, on what life-reality is reflected and (re-)constructed, and on what the performing agent aims to construct in relation to others. Instead of the binary view of some critics, we found attributions of enabled agency to the individual to be interwoven with different externalizations thereof, which point towards new strategies that individuals choose to relate themselves to the world they live in. Linda Annunen is a PhD candidate in Comparative Religion at Åbo Akademi University. She is currently writing her doctoral thesis which focuses on West African and shamanistic drumming in contemporary Finnish cities in the light of ritual theories. Her research interests include ritual studies, theorizations of space and place, urban anthropology, and religion and entertainment. The general aim of this chapter is to distinguish between two ways of aligning oneself in relation to unpredictability. One represents the (“official“) stance of disenchanted moderns (religious or not), while the other appreciates the potentially empowering effects of surrendering to enchantment without thereby necessarily denying the risks involved. We will argue the following: 1) reducing life to engaging only in predictable affairs and opting for reliance over trust is impoverishing and ignores the need to attend to concerns regarding the precariousness of individuals’ capacity to trust; 2) one can engage in enchantment without denying that it may be risky; and 3) as long as enchantment is retrospectively translated into calculation (trust is retrospectively translated into reliance), the negative effects of unpredictable relational dynamics remain seemingly the effects of “letting go” (as opposed to the more complex effects of what happened afterwards, that is, the unpredictable but productive effects of compositions). We conclude by noting that another form of mastery is conceivable. It is not a mastery of “letting go”, but a mastery of engaging well with those things one co-composes, having let go (of certainty). Michael Barnes Norton is Assistant Professor in the Department of Philosophy and Interdisciplinary Studies at the University of Arkansas at Little Rock. He received a PhD in Philosophy from Villanova University in 2011, and specializes in philosophy of religion, deconstruction, and phenomenology. He has published work on Derrida, post-colonialism, and religious pluralism, and his current research focuses on the work of Bruno Latour and new materialist approaches to religion. Bruno Latour argues that modern thought drastically misunderstands the religious in at least two ways: by assuming that religions are constituted by “beliefs,” and by assuming that religious language is meant to transmit information (the content of “beliefs”). These characterizations are based on what Latour calls the “modernist settlement,” the result of which is a view of the world as strictly bifurcated between nature and culture. This chapter develops an understanding of religious practice that follows Latour’s departure from this modernist position and can instead let religions speak for themselves. 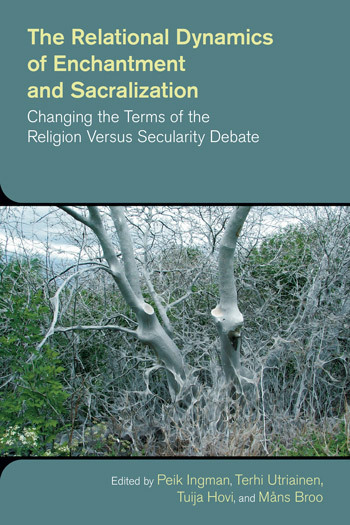 It explores the implications of the rejection of “belief in belief”—the idea that so-called primitive or superstitious religious ideas are held by their adherents in ways that modern social sciences take to be unreflective or simply backward. 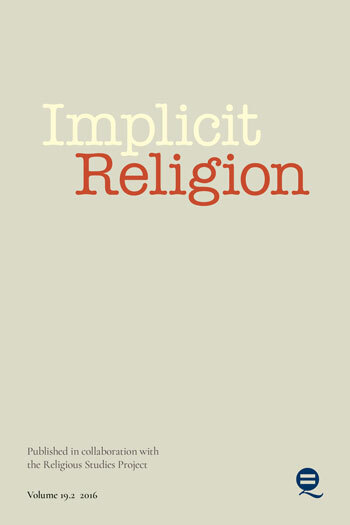 It also examines Latour’s claim that religious speech is not primarily about transmitting informational content but instead aims at the transformation of its audience as well as its speakers. Lastly, it argues that in order to take these claims seriously it is imperative that we understand the religious in terms of its immanent, material constituents—nonhuman as well as human. This not only involves reconceiving religion on its own; it also entails resituating religious speech and practice within a more broadly democratic political sphere in which critical, secular perspectives are not strictly opposed to religious ones. Rethinking religions along these lines allows us to compose a prospective future for the philosophy of religion in which religious life may by accounted for in all its multiform reality. Many modern Finnish women recount that angels can touch and enchant their minds, bodies and quotidian lives. Most of these women are members of the Evangelical Lutheran Church of Finland, but find the discourses and practices offered by the church increasingly secular and outdated and, most importantly, emotionally disengaging. Some of them also claim that they are not welcome in church with their newly found enchantment with angels, and instead they are told that their spirituality is too childish, sentimental or magical. Drawing on ethnographic material, this chapter argues that what is often depicted as “the touch of an angel” has become an intimate and both spiritually and bodily enchanting alterity for those engaged. Through such operations as ritual, metaphor and use of the subjunctive, angel enchantments articulate important relational matters of concern. These enchantments reveal intriguing, often transitory and sometimes unsettling dynamics of presence and absence of religious difference in a complex and precarious modern world. Nora Machado des Johansson is associated with the Centre for Research and Studies in Sociology, Lisbon University Institute, and with the Department of Sociology, University of Gothenburg in Sweden. Machado’s main areas of research and teaching are cultural sociology, social psychology and institutional & governance analysis. Her publications include articles in Public Administration: An International Quarterly, Canadian Journal of Sociology, Social Science and Medicine, Death Studies, Human Systems Management and a book Using the Bodies of the Dead, Ethical and Organizational Dimensions of Organ Transplantation in 1998 about the cultural-organizational factors of organ transplantations. She is currently completing a book about Marian sacrality in Fátima, Portugal. Sacred visions, supernatural visitations and revelations appearing to chosen visionaries have for millennia been an important, if relatively marginal, form of Christian religiosity. One of the key concerns regarding these supernatural phenomena is their authenticity and their particular forms of sacrality. This chapter focuses on the ways in which the shrine of Fátima in Portugal grew into a sacred configuration that coalesced in the form of Marian sacrality, combining specific social, iconic and political elements involving different agents and agencies (e.g. charismatic virtuosos and their followers, as well as religious, political, and administrative institutions), but also objects and temporal/spatial patterns “charged” with spiritual power and significance (e.g. consecrated places, sacred statues and relics, holy dates, and sacred and powerful rites such as certain prayers and rituals). Specifically, this chapter concerns the social definition and governance of Marian sacrality in Fátima, Portugal. This chapter engages in speculation on the notion of iconoclashes (Latour 2010) by drawing on the insights garnered from three sources for which iconoclasm has become a central challenge: Bruno Latour, relational psychoanalysis and my ongoing research with queers in Christian families. The central question I wish to entertain is whether and how it might be possible to protect relationships against iconoclasm non-iconoclastically. A corollary to this question is another: could such a defense be meaningfully referred to as (a form of) sacralization? As Giorgio Agamben has argued, profanation involves negligence. It is the character of this negligence that is under question in an attempt at a non-iconoclastic defense against iconoclasm. Is protection against the accusation of sacrilege possible to achieve through non-iconoclastic sacralization? Milan Fujda is assistant professor at the department for the study of religion at Masaryk University, Brno. Formerly interested in an acculturation of Indian spiritual practices in Europe he has turned to studies of ordinary (organizing) practices under the influence of ethnomethodology and ANT. At present he studies how unpredictable and complex situations are handled. His ethnography of contemporary dance improvisation is the first project after his methodological and thematic shift. It opened to him the way to locate questions concerning social meaning and the significance of allegedly irrational aspects of human life in a theoretical framework defined by practical pragmatism rather than by concepts of modernization, secularization, and religion. He is the author of the following books: Akulturace hinduismu a formování moderní religiozity: K sociálním dějinám českého okultismu 1891–1941 (The Acculturation of Hinduism and Forming of Modern Religiosity: The Social History of Czech Occultism 1891–1941) and Oddaní Kršny. Hnutí Haré Kršna v pohledu sociálních věd (The Krishna Bhaktas: The Hare Krishna Movement in the Perspective of Social Sciences, together with Dušan Lužný). The current chapter is based on an ethnography of dance improvisation. It analyses instances of handling unpredictability and fragility in ordinary life. It shows that such situations are common and that people are well-skilled in dealing with them without recourse to the idea of a clearly defined order. While the imperatives of modernity seem to lead to a preference for clear orders and calculable means, people in ordinary practice handle disorders arising from unpredictability and complexity by developing and mixing strategies which acknowledge the lack of order. It seems that no practical distinction arises between modern and non-modern people in this case. Furthermore, due to the human tendency to mix various “rational” and “irrational” strategies to overcome unpredictable and fragile situations, the theoretical notion of separated spheres of “secular” and “religious” also loses any practical relevance. Managing chronic illness and pain with its demand for traversing evidence-based medical practices, traditional science, magic, prayer, and so forth in order to gain control over a patient’s situation is a key example of this. The point of the chapter is fourfold: 1) analysing such situations leads the study of religion(s) beyond such binaries as “religious” and “secular”, or “traditional” and “modern”; 2) it moves the study from marginal, exotic themes towards the core issues of human behaviour in culture and society; 3) it helps the study grasp the meaning and significance of what once used to be called “religion” with a practical relevance for actual human (inter)action(s); and 4) it thus helps the discipline to stop being “the marginal discipline of the margins, picking up the crumbs that fall from the other disciplines’ banquet table”, as Bruno Latour once said about anthropology, and to begin to address the important issues of life of societies and cultures. Jay Johnston is an interdisciplinary scholar (religious studies, art history, philosophy, gender studies, Norse and Scottish studies) who investigates ritual and its use in identity formation, healing practice and cultural exchange. She is particularly interested in Late Antiquity; pre-1400 Scottish and Norse cultures; complementary and alternative medicine and its historical precedents; and human-animal-environment relations. Her publications include Religion and the Subtle Body in Asia and the West (ed. with G. Samuel), Routledge 2013. She is Chief Investigator on “The Function of Images in Magical Papyri and Artefacts of Ritual Power from Late Antiquity”, a project funded by the Australian Research Council (2012–2015). This chapter proposes an “esoteric aesthetics” as enabling a rethinking and reformulation of aesthetic relations that distinctly takes into account varieties of material agency. It takes seriously the question of how we are to understand aesthetic engagement if we are not interacting with purely empirical material. This approach has potentially radical implications for the concept of subjectivity, artistic agency and interpretations of the role of image or object and the viewer. Therefore, the argument draws together several academic disciplines: in particular, post-structural philosophy, Western art historical discourse and the Western esoteric tradition. The objects selected for analysis are an image found in an early Coptic magical handbook (p. 12 of P. Macq. I, c. VIIth century CE) and Crow Stone (Dumfriesshire, April 1998), a work by the contemporary artist Andy Goldsworthy. Through analysis of these examples, this chapter argues that an esoteric aesthetics requires not only attention to the possible agency of image or object, but also attention to one’s own embodied experience and the multiple frameworks through which meaning is made. Jaana Kouri is a PhD Candidate and part -time teacher in comparative religion at the University of Turku, Finland. She is interested in academic writing, meaning-making processes, nature-venerating spiritualities, oral history and shamanism. Nostalgic narration as such is not religious, but it can be recognized as having an ontological function. I have conducted an oral history project in Lypyrtti, an old pilot’s village on the southwestern coast of Finland, where the inhabitants’ fear of losing knowledge of their local history arises simultaneously with the fear of losing access to clean water. Time has passed and the future seems to promise the rather unwelcome change of eutrophication. Most likely due to this sense of impermanence, the past spatial practices or old ways of living in the reminisced village are almost sacrosanct. The nostalgic, enchanted village lives in the memories of the present inhabitants, and the present, ominously changing environment reminds them of it, prompting them to remember. This oral history project had two literal results: a history book on the village and my ongoing research project in comparative religion. It was a reciprocal signification process in many ways. The production of narrated data was an act of interaction and dialogue between the locals, the environment and myself. As I understand it, cultural knowledge, rather than being imported into the settings of practical activity, is constituted within these settings. Every step of the conceptualization – from the observation to the verbalization – is social. I combine the ideas, concepts and methodology of oral history and place research. I bring into the discussion the double agency of researcher as experiencer (in the field) and as conceptualizer (in the textualization process). I draw inspiration mainly from the thoughts of the anthropologist Tim Ingold and sociologist Bruno Latour, in order to elaborate how various kinds of actants and actors mediated information in the process and influenced each other, thereby extending conceptualizations of agency from human to non-human actors. Stuart McWilliams teaches English Literature at Åbo Akademi University, Finland. Previously, he was a research fellow at the University of Edinburgh’s Institute for Advanced Studies in the Humanities. His research interests include literary medievalism and the critical history of enchantment. He is the author of the monograph Magical Thinking: History, Possibility and the Idea of the Occult (Bloomsbury, 2013). The sponsoring teleologies of the historiography of magic have tended to affirm a Weberian Entzauberung at modernity’s core. Some scholars have portrayed this as a necessary and inevitable evolutionary step, while others have lamented the apparent passing of an enchanted premodernity. Many in the arts and humanities, uneasy with triumphalist (and ethnocentric) narratives of progress, have found themselves in a position of “advocacy” for premodern enchantment, whether in a spirit of ethnographic sensitivity or of confessional enthusiasm. This has helped solidify the “two cultures” problem, famously identified by C. P. Snow as one of the principal industrial conditions of contemporary scholarship. If the natural sciences are sincerely believed to “unweave [the] rainbow” (as John Keats has it), the humanities become counter-positioned on the Romantic side of the dispute, attempting either to re-enchant the world or, perhaps (following this volume), to recognize the latent enchantments of which it has never really been divested. This chapter contends that the humanities are bound neither to enchant nor disenchant, but rather to act against reduction. While metaphysical scientism (or, indeed, Heidegger’s “technicity”) certainly includes forms of reductivism against which the humanities might argue, it is equally possible for narratives of enchantment and sacrality to be implicated in reductive frameworks of knowing. The humanist, then, is in the delicate position of putting things, texts and ideas beyond technical and commercial utility, while also rendering intelligible and interpretable that which is habitually presented as self-same and absolute, from sacred texts to capital itself. An assessment of the achievements and possible shortcomings of the volume. This volume brings the study of ritual, religion, and spirituality into full conversation with agency, networks, and materiality. The result is a fascinating and insightful resource that casts new light on enchantment and sacralization, which become in the authors’ hands very useful analytical concepts. In a day when traditional notions of ‘religion’ have lost relevance, a new set of conceptual tools is important to develop. This book makes a splendid contribution. This is a wonderful book. 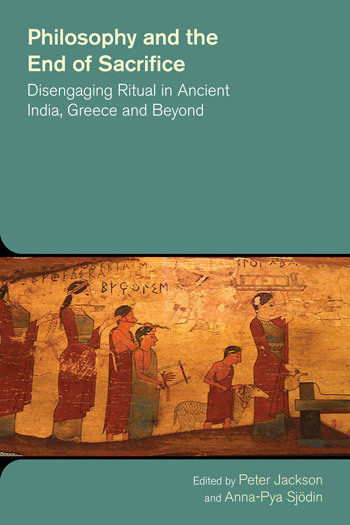 It draws on sophisticated cutting edge theory to provide significant new insights into ritual, enchantment, and religious practice. I particularly enjoyed the creative engagement with contemporary debates about ‘religion’ that draws us back to empirical studies of the ethical and moral challenges negotiated through the experience and practice of religion. Invoking the previously exorcised “religious” terms, enchantment and sacralisation, this radical volume experiments with re-positioning religion and the study of religion as relational encounters. Facing down some suffocating polemics, the contributors demonstrate what may be achieved by allowing new possibilities to emerge from dialogue, reflection and a willingness to learn. If your academic interests include Bruno Latour, vernacular religion, materiality in religion, ritual, enchantment, or animism, then this book is a must-have for your collection. However, even if these topics fall outside of your normal research areas, I would recommend this book if for no other reason than to see some ways in which the field of religious studies is being reconfigured. Overall, this is an excellent book. It is not only approachable from several different fields, but leaves the reader with multiple perspectives from which to further investigate the enchantment of new materialism. This collection is a major contribution to the emerging field of enchantment studies, with papers that are almost uniformly interesting and innovative.